In theory the nose and palate should all have similarities so I will knock a few out from the start, tasting 8 heavy peaters is a lot for my palate. Nose The first to be discounted was the Jaz festival2015 and the 30 year but that might be because they were more delicate. next was the 21 year 1991 then the 37 year which left the NAS 1960`s, 16 year, 21 year 1985 and the 25 year. After 2 tastings my top 3 were the same with the 25 year moving to 4th the Nas was bottom with the 16 year just beating it. The 30 year was a little delicate in this company. The big question is and the one that should give us all hope is that there was little in the first 6 placings and the 16 year was not far behind but the exta years maturation told. If You took price into consideration then the 16 year can hold its head up high. Is this whisky overrated and overhyped? Definitely not! 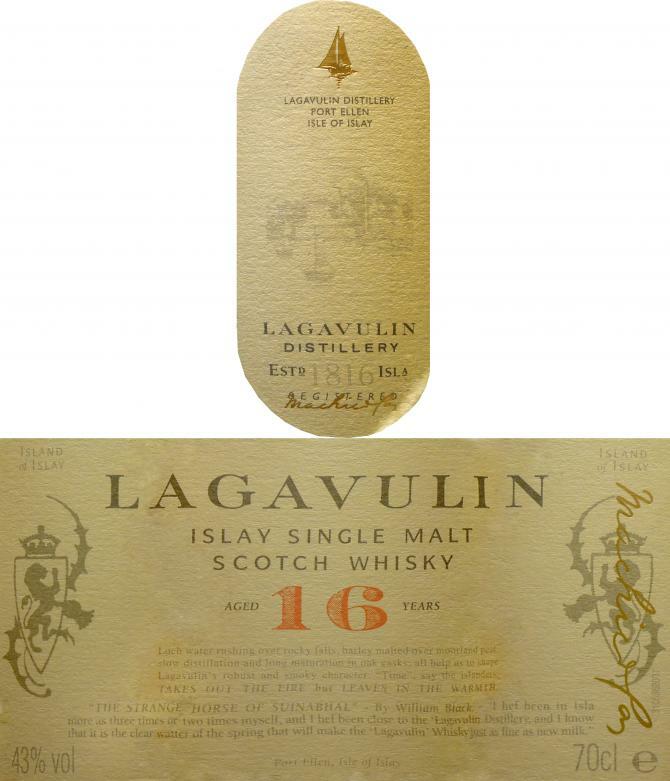 Lagavulin 16 is an outstanding Single Malt from Islay and a cornerstone of Scotch whisky culture. Intense peat smoke with hints of iodine and seaweed dominates the nose, merging with soft and yet substantial sherry cask sweetness. On the palate, it tastes full-bodied, peppery and deliciously sweet with dried fruits and an overwhelming blast of dry peatiness. The finish is prolonged, warming and spicy. A superb malt that would be even better with 46% ABV, no chill filtering and natural color. This is how smoked orange must smell on a sea fish, beautifully intense and harmonious. The taste is a little different, but not worse. The body alone disappoints a little. The finish completes the whisky conclusively. Always good. Dirty, intense, spicy, full, incredibly aromatic, perhaps the best single malt standard on the market. Peat, but embedded in a strong sweetness. This sweetness is very strong, almost sticky in the nose. To the peat come flavors of herbal liqueur, maybe a few raisins. Peat, salt, bitter oak and sweet fruit, very long, at the end on a sour, dry oak. 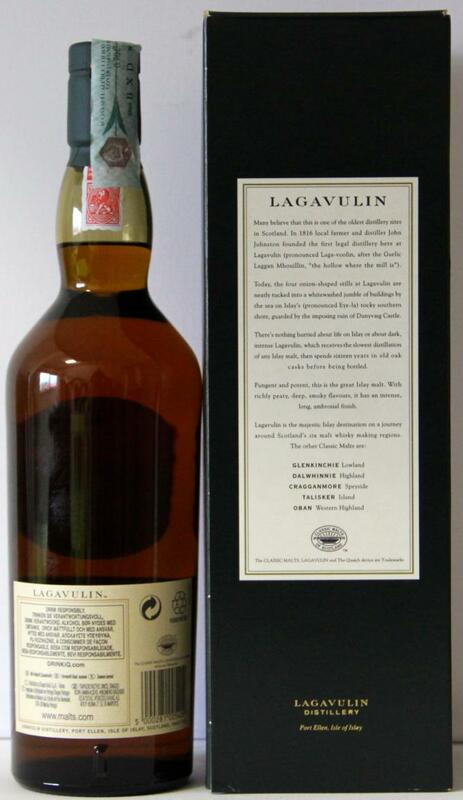 He was one of the first Islay whisky but also the realization that I do not need to go to the island. I respect this characterful dram and would like to rate it. Because he is worth every penny! Moist peat in warehouse and smoldering campfire. The smoke is not so intrusive and is tempered by sweet fruitiness. Absolutely ok, but not my world. Very supple with leather and coal fire. About spices to the Scherryeinfluss nothing is missing here. Respect. The earthy notes get the upper hand. The palate is really good. You have to like him. We will not become friends. 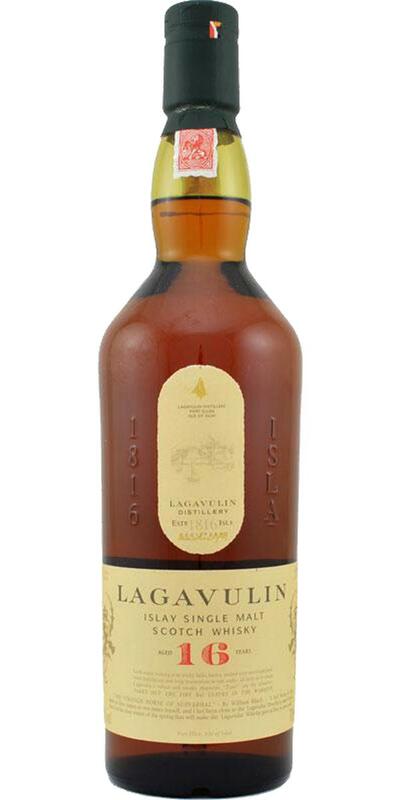 Certainly not only for me, the Lagavulin 16 is the absolute reference for strongly smoky whiskys, which shows how well smoke can be incorporated. Always present, but still always room for other flavors, the smoke makes for a still surprisingly round composition. A classic, where every smoky whisky has to compete. Smoke reminiscent of campfires and leather (for me less bacon or smoked salmon), along with a heavy and slightly dark sweetness and spiciness (raisins, dates, dark grapes, but no sherry spice) that barely fades, in a constant interplay that does not get boring. In the background very delicate wood and oak notes. The sweetness takes over, becomes spicier and woodier. Long, warm and sweet. The smoke is coming back, this time a little tender but still pleasantly present. Returning on this whisky after more or less one year. I was looking for a "peated" bottle to open and it became the candidate. Peat is dominant but citrus fruits are very present too. A little note of chestnut honey that appears and disappears. Peat dominates the final, the oak is very present but bitter almonds too... It pushes to say "ok, just one other drop ....."
Wonderful dram, one of the best affordable Islay whiskies. Complex, balanced and easy going. Excellent value for money.